Officially launched in Norway in 2018, Future of Fjords is an electric catamaran constructed from carbon fibre composite able to welcome 400 passengers. 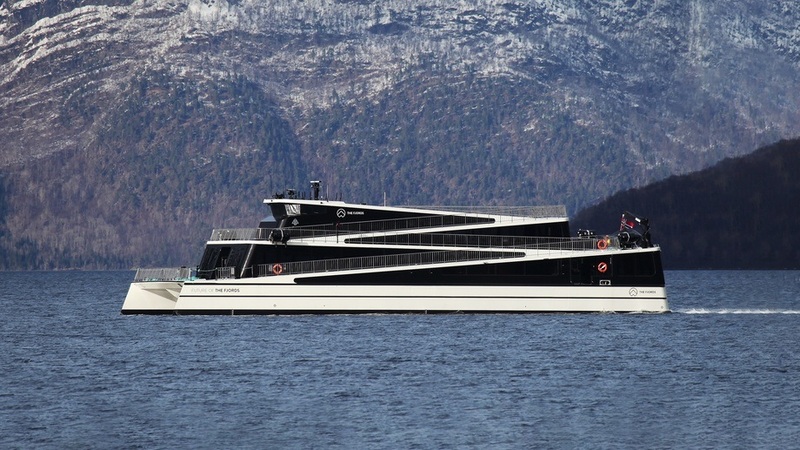 It's been a year now that the electric ferry has been sailing between the spectacular Norway’s UNESCO heritage sites setting new standards for environmentally responsible passenger transport. 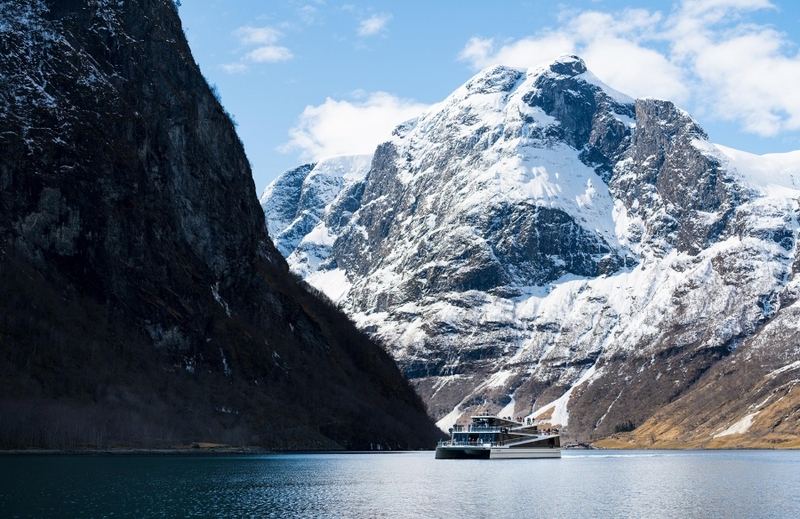 Described as the first vessel of its kind to offer completely emission free transport, the vessel sails along the World Heritage listed fjord on the 90-minute trip from Flåm to Gudvangen, through Western Norwegian landscape. 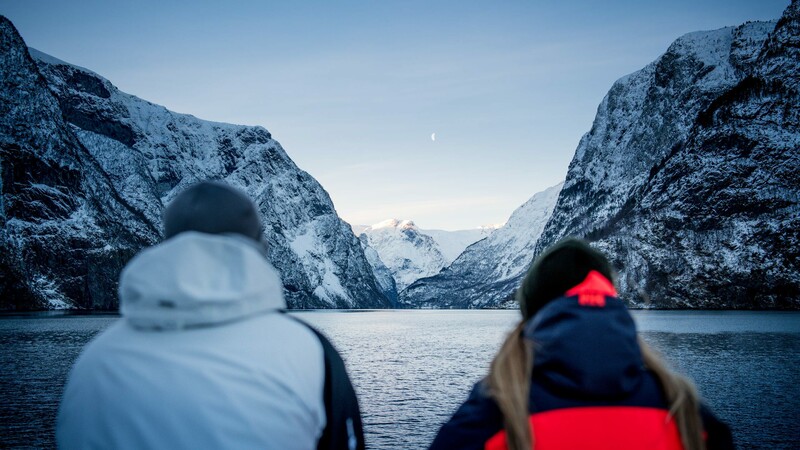 "Future of The Fjords does just that, minimising its impact on the environment while maximising the experience of passengers who can now glide silently over the water and come closer to nature than ever before," says Rolf A. Sandvik, CEO of shipowner The Fjords. "We're entering into a zero-emission future." 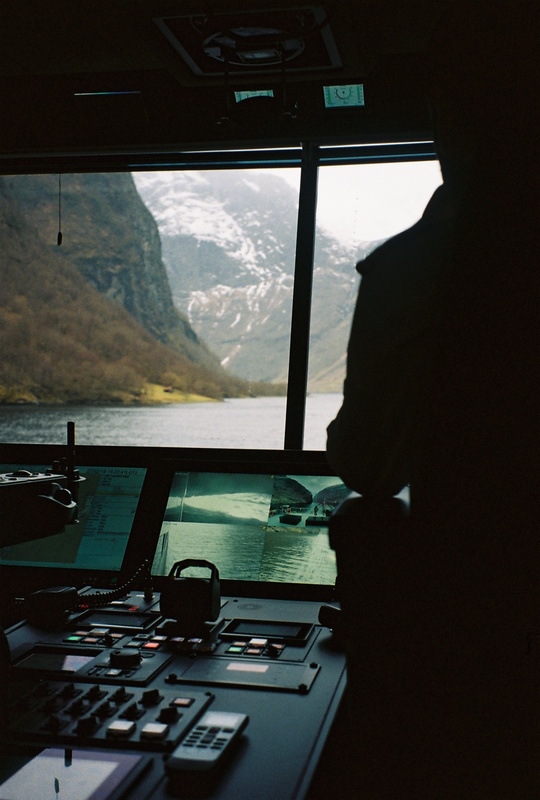 Born two hours from the fjords, the cruise ship captain of the newly launched ferry Future of the Fjords had completely changed life working here. "I used to work on a chemical tanker,a 200-meter long and 35-meters wide vessel. Not very environmental friendly! (laughs) Deep see trade, all over the world. We used 45 metric tons fuel a day. 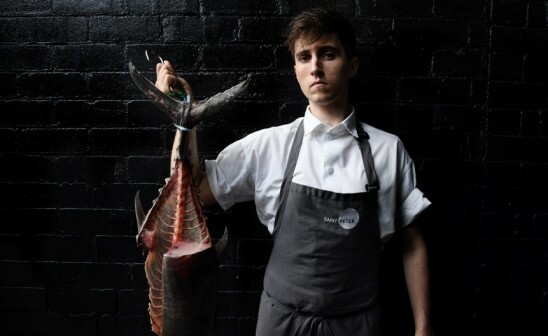 So that represents a big difference in my life today," he says. "I remember a lot of guys told the company when they started that the Future of Fjords won't work out. But it worked from day 1. Technically, we have almost no problem with this vessel. It's not so complicated because we use electrical engines. They have built electrical engines for hundreds of years. The new thing here is to have a battery as the power source. The boat receives power from a battery pack of 1800 kWh, representing about 40 times the capacity of a typical electric car. 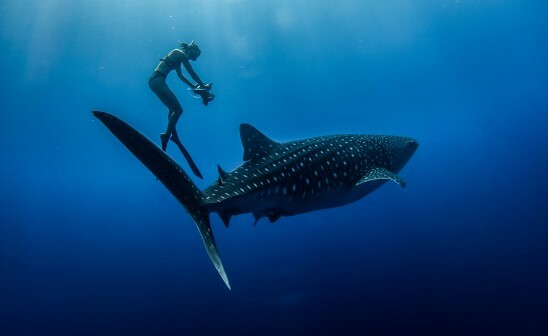 I've been on this vessel for a few months and am surprised how well it works," he says. "The manufacture will take care of the change of battery and will recycle the battery, in 9 years from now. I suppose when we are going to change our battery, they'll be half the size and twice the battery of today's. You can compare it to mobile phone development. 15 years ago, we had this huge battery, now you cannot even see the mobile phone battery." Powered by two electric engines of 585 horsepower each. The installation makes it possible for the vessel to reach 16 knots (almost 30 kph) during operation for a range of 55 km, before the boat must be recharged. Thanks to a unique floating charging solution called the PowerDock, the environmentally responsible vessel ushers in a new breed of clean, green and spectacular passenger transport. "Here we have a solution that any form of electric transport can simply plug into without exerting strain on the grid. The dock also stores consumables, fuel for sister vessels, and allows black water to be offloaded for treatment on land. This makes Future of The Fjords the only passenger vessel not to discharge sewage directly into the fjords." As the world’s first all-electric carbon fiber vessel, Future of Fjords make waves right across the globe since the all-electric passenger vessel Future of The Fjords has won the Ship of the Year 2018 award at SMM. Rolf A. Sandvik, CEO of shipowner The Fjords defines the vessel as "the greenest passenger vessel in Norway [and] helping us preserve the integrity of our beautiful fjords". The innovative 42-meters long vessel is part of Norway's program to create the first zero-emissions zone on water. 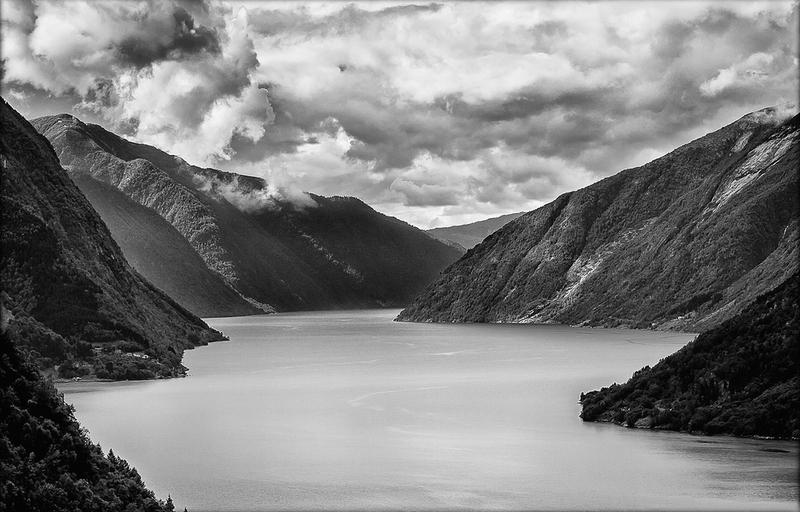 The parliament has accepted a resolution which would see emissions banned in the world heritage fjords “as soon as technically possible and no later than 2026”.